← New Year – New Horse! Tomorrow at 7am we are loading the ponies into a horse trailer and hitching a ride down into the Los Padres National Forest. This week has been intense and we are grateful to have been granted a week’s rest with kind and wonderful people. Jesse continues to improve and I am to the point of believing that he can carry me at least part of the way along the 10 mile trail from the Piedra Blanca Trailhead to the Hot Springs. We are carrying food and supplies for two weeks, although we plan to be out on day 12. The territory ahead is unknown to us – Mountains – we have made it through the Central Valley. This has been a week of many gifts and blessings – not only the much needed rest and respite from the cold, but a horse named Daisy And a western saddle that fits Gryph and Finehorn comfortably. We have been given maps and advice which allowed us to recover the dream of visiting two remote hot springs, meals and sodas and rides to town so that we could provision for this major undertaking, bales of hay and a bag of feed, money to help us on our way and now a ride down past the waterless bits so that we can get to the trail head with Jesse James on his regimen of shorter days and lighter weights. Talk about the 12 days of Christmas! Gryph has had time to catch up on blog entries and I am so grateful to have had a warm bed and a flush toilet on the night I was violently losing the contents of my stomach. We have been encouraged and strengthened and taken in like family. There is a saying in Arabic, Insha’Allah – which translates as “God Willing.” In Latin it’s Deo volente (DV). In English sometimes it’s rendered as “good Lord willin’ and the crik don’t rise. It seems that as Americans we have come to speak of our plans as “what’s going to happen.” As we have progessed on this Journey we are constantly reminded how much those plans are at the mercy of forces over which we have little or no control. A lame horse, an invitation, a wind storm, a germ – and as we head into the wilderness, the possibility of the creek rising (quite literally) can throw our careful plans into sudden disarray. That said, our current plan is that we will be incommunicado until the 20th of January – no internet or cell ‘phone service where we’re headed – but things will continue to appear on the blog as if by magic. Ah, technology (and a wonderful sister!) We will let the Ozena Ranger Station know our proposed route and time table. Insha’Allah we’ll be back with fresh stories and photos and drawings and insights on or about the 21st of January – and will be able to respond to e-mails and messages then. 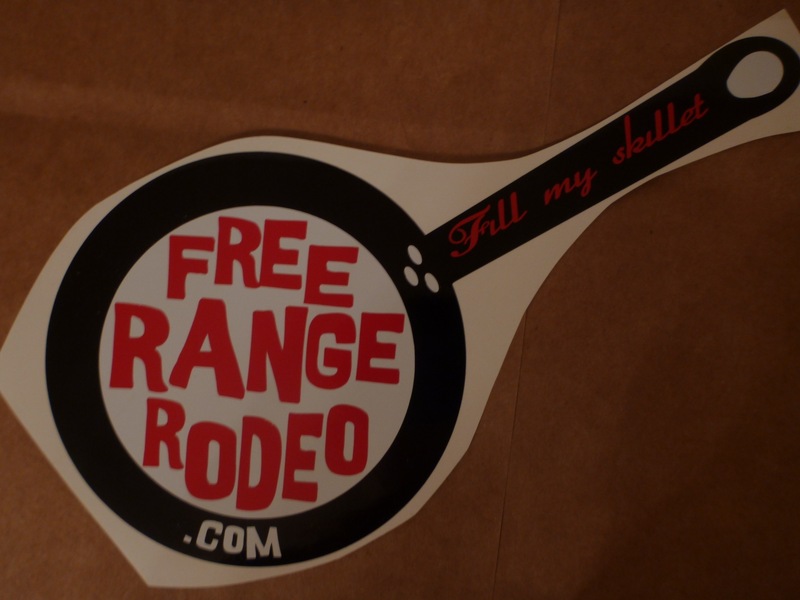 Happy Trails from the Free Range Rodeo – Keep us in your thoughts and prayers – We’re so glad you’re reading this blog! This entry was posted in Uncategorized and tagged 12 days of Christmas, Daisy horse, fill my skillet, GF Ink, God Willing, Los Padres, wonderful sister. Bookmark the permalink. Happy safe trails girls. Looking forward to hearing how your wilderness adventure went. Hey do you know if Lu Lu has been spade?